The Grange Bar and Eatery (shown above) is the neighbourhood hangout we’d all been waiting for. Yes, they have healthy stuff like Kale and Quinoa salads, but you should see what they do with pork and beef. Their menu of spirits is outstanding. 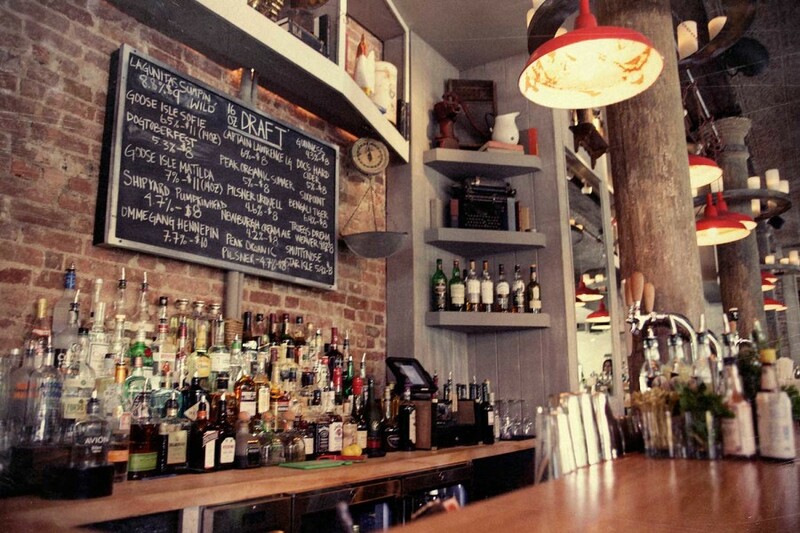 Harlem Public is a bar, but no ordinary bar. They offer a variety of messy, fatty, delicious foods that will kill you dead. Where else can you go for a Poutine Burger or a Double Donut Burger? Dinosaur BBQ. There are many like it but this one is ours. Hard cider is a nice crisp complement to the rich barbecue treatments. The Chipped Cup: Outstanding coffee, a variety of interesting teas, and pastries from Ceci-Cela. And finally, Londel’s Supper Club is technically in Central Harlem but as it’s just on the other side of Drederick Douglass Boulevard you might include it in any itinerary involving the park or the Hamilton Grange Memorial. Londel’s is the old-school real deal, with live music and 45-minute wait times for classic soul food. It’s worth it. It’s so worth it.